Earlier this week a group of scientists from the international Event Horizon Telescope announced that they’d captured the first ever photo of a supermassive black hole. Today, that image has been revealed, showing a black hole at the centre of M87, a galaxy 54 million light years away. Taken over five days of observations in April 2017 using eight telescopes around the world that together act like a telescope the size of Earth, the image shows a ring of swirling matter heating up as it’s pulled towards the black hole’s event horizon – the point of no return that devours planets, stars, asteroids and even light. 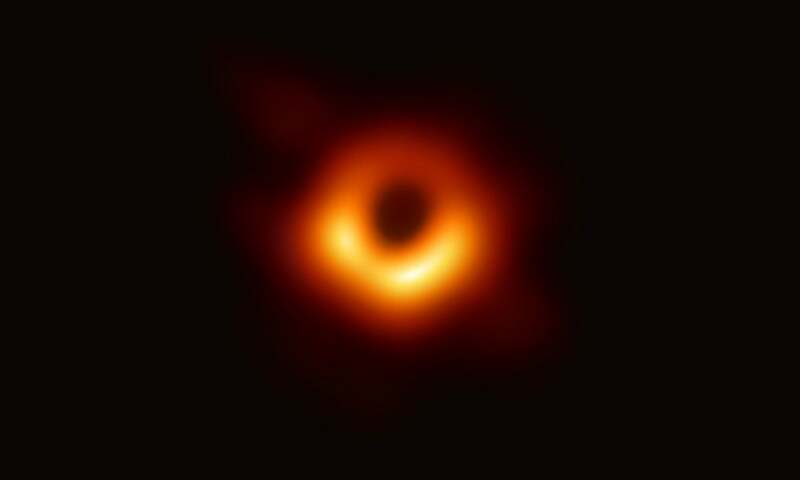 This black hole is about 6.5 billion times the mass of the Sun which, FYI, is larger than the orbit of Neptune, which takes 200 years to make one orbit around the sun. So pretty bloody big.